Geosynthetic clay liner is also named sodium bentonite composite waterproof pad. This is to make high swelling sodium bentonite filling into the inside between special composite geotextile and non-woven fabric. The bentonite impermeable cushion that made of acupuncture method can form a lot of small fiber spaces. This is to make the bentonite particles can not flow in one direction. When encountering water, it can form uniformly high density colloidal waterproof layer in the pad, and effectively prevent water leakage. 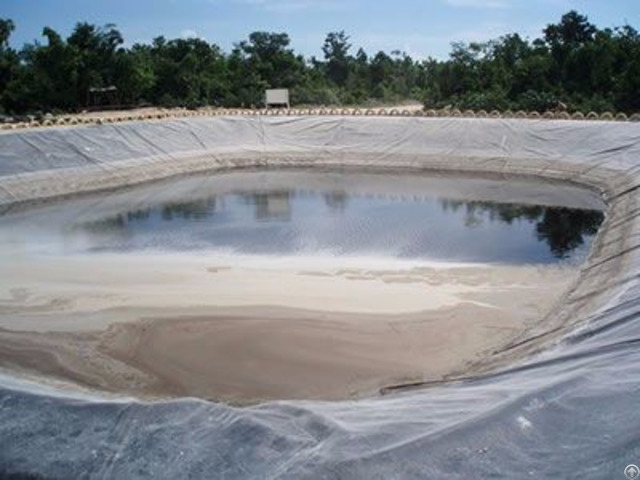 Geosynthetic clay liner is suitable for artificial lake water, landfill, underground garage, roof garden, pool, oil depot and chemicals yard. Product name: geosynthetic clay liner. Material: sodium bentonite, special composite geotextile and non-woven fabric. Weight (gram/square meter): 4 kg/m2 - 6 kg/m2. Note: We also accept special specifications. Geosynthetic clay liner is a kind of anti leakage earthwork synthetic material that applicable for artificial lake water, garbage landfill, underground garage, roof garden, pool, oil depot and chemicals yard and other places. The mineralogical name of bentonite is montmorillonite. Natural bentonite by chemical composition is mainly divided into two types: sodium group and calcium base. Bentonite has the characteristic of water swelling. Generally, when calcium bentonite expands, its expansion is only about 3 times of its own volume. But sodium based bentonite can adsorb five times water of its own weight when encountering water, and volume expansion to more than 15-17 times. The sodium bentonite locked up in the middle of the two layer of the synthetic material can play a role in the protection and reinforcement. And make the geosynthetic clay liner has a certain integral shear strength. 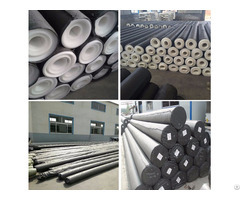 When laying sodium bentonite composite waterproof pad, usually put the non-woven (white) upward, woven cloth (black) towards down laying, or according to the design requirements, engineering requirements to lay. When laying, it should avoid the raining day, if suddenly meet the rainy day, it should stop laying and covered with plastic film to prevent rain water intrusion and occur hydration. Sodium bentonite composite waterproof pad construction should confirm water flow direction first, laying along the water flow direction, make the upstream waterproof gasket pressed on the downstream waterproof pad. In the inclined surface and the slope construction, sodium bentonite composite waterproof pad length direction should perpendicular to bottom lying. Bottom laying should be parallel lapping, considering the foundation of sinking deformation laying, can wrinkle at the bottom, appropriate relax and close to the ground tightly. When laying, it can use mechanical or artificial way. 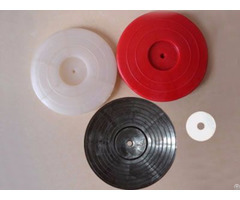 Mechanical laying can take thick wall iron pipe or the iron stick to enter into roll core. One side pull open, after fixed, suspend in midair, open and flat. When in construction, if sodium bentonite composite waterproof pad needs cutting, only need a knife can cut freely according to the needs. When laying, strictly prohibited to put fire or cigarettes on any side of the sodium bentonite composite waterproof pad. When in laying, if the sodium bentonite composite waterproof pad is broken, it should use waterproof pad that is 300 mm larger than damaged place around to cover and then fixed. 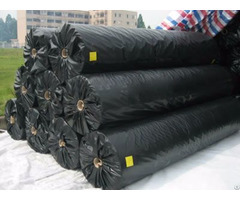 Geosynthetic clay liner rolls can be wrapped with black or white woven bags, and then on pallets or at your requirements.